NASCAR splits its weekend between Dover and Las Vegas. The Sprint Cup Series and XFINITY Series take on the Monster Mile. 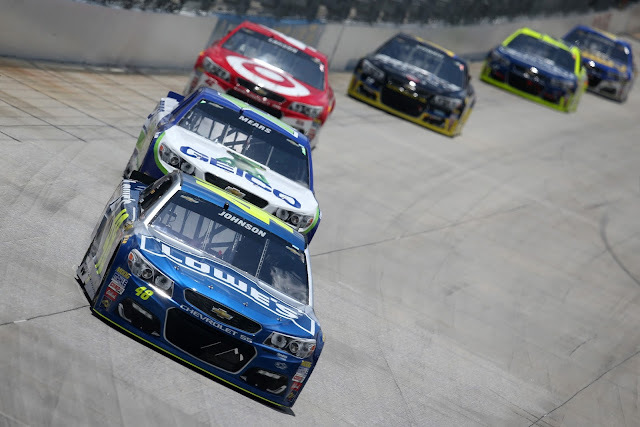 Dover marks the first elimination race in the Chase for the Sprint Cup. Who will advance to the top 12? The Camping World Truck Series bets on Las Vegas for a standalone race. The following is a handy guide to track events and television coverage at Las Vegas. All times are in Eastern Standard Time.